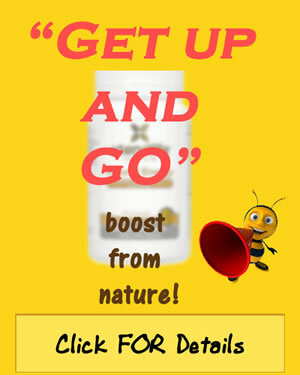 Bee pollen provides natural health benefits to those who take it. It increases longevity and help with weight loss among other things. However, since bees make this by collecting various pollens including those in the air, people can have allergic reactions to it, sometimes with deadly consequences. People are rushed to emergency rooms with anaphylactic shock just because they took bee pollen supplements. Reports have stated this possibility, but many individuals still are in the dark over this fact. Anyone interested in taking these supplements should be aware of this risk. An upset stomach can occur while taking bee pollen. If this clears up, the person can continue taking this supplement. This does not signify an allergic reaction, but because of the discomfort, the doctor may recommend the person quit taking the bee pollen. Allergic reactions for the most part range from mild to moderate. However, if any of the symptoms such as coughing, rashes, or the skin becoming red and warm the person takes the supplement he/she should stop taking bee pollen immediately and alert the doctor. In addition to the above reactions, anaphylactic shock causes serious allergic reaction. Call 911 immediately when a person suffers difficulty breathing, convulsions, or unconsciousness after taking bee pollen. These types of symptoms could lead to death if not treated quickly. If a person has an allergy to bee stings, he/she in no way should take bee pollen. When a person is unsure of he/she is allergic he/she should only take a small amount of bee pollen at first to test it. People taking bee pollen supplements should inform themselves on the fact that if they have pollen allergies they could suffer dangerous reactions to them. Individuals take these supplements for a variety of reasons from adding longevity to their lives to helping with weight loss. The supplements make effective treatment for allergies as we mention later. A report issued in the Canadian Medical Association Journal recently was about a woman that doctors treated after here having an anaphylactic reaction to the bee pollen supplements she had taken. Even though this is written about with her and others, many still do not know that this can happen taking these supplements according to Dr. Gordon Sussman from the University of Toronto and Dr. Amanda Jagdis from the University of British Columbia. Bee pollen just like herbs, foods, and various medications are possible allergens for people. Of course, many drugs do have serious side effects, but not all the side effects from pharmaceuticals are headline worthy. While the bee pollen may cause anaphylactic shock, it is not at pandemic level, by any means. In Greece, a group of 145 patients was tested for allergies along with 57 healthy individuals for their reactions to bee pollen. The results were that 73 percent of the people with allergies had a positive result with the testing for bee pollen. Bees collect such a wide range of pollens it is easy to see why some could be allergic to bee pollen. The report mentioned earlier said the woman have no insect, drug, latex or food allergies. She had swollen lips, throat and eyelids, along with hives, a hard time swallowing and some other dangerous symptoms according to the doctors treating her. The lady quit taking the bee pollen supplements after treated in the emergency room and no further symptoms occurred. Anyone considering adding natural supplementation to his/her diet, including bee pollen, should consult a professional or at the very least do extensive research on natural health treatments. This way, he or she can be confident of taking the right thing for his/her body. Bee pollen is effective at times to lessen seasonal allergies, but only if the person has mild allergies and takes this supplement correctly. Many natural doctors treat allergies with bee pollen even if the allergies are to this substance. Warning should be given to all people about the possible side effects such as the woman mentioned above, but the good bee pollen does outweighs the bad of it and this also needs to be told to people. Since the actual news of this woman was reported by a person that is a consultant to Pfizer the drug manufacturer and has received grant money from CSL Behring and Novartis. It makes the report a bit suspect when the scientist receives benefits from Claritin along with other antihistamine sales is telling people not to take natural remedies. Safe, healthy medicines and food should stay on the market. However, the natural options need a closer look for preventing diseases from happening in the first place. A person's health is valuable and special care keeps it safe from diseases. Bee pollen and other natural treatments help make this care possible many times. However, common sense must always prevail and allergic reactions are avoidable with the right research.